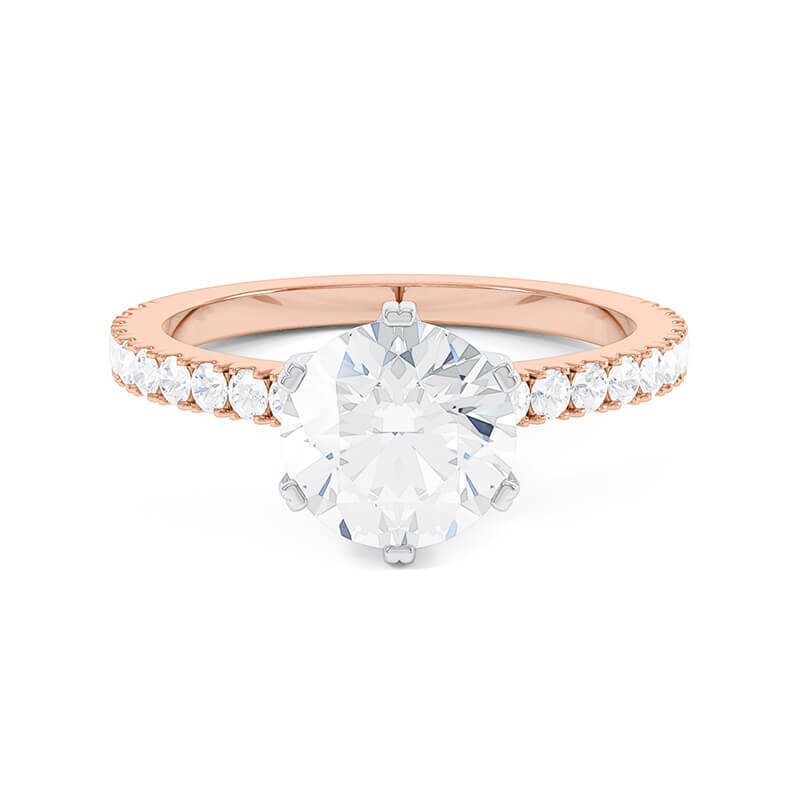 An iconic classic meticulously designed and handcrafted. 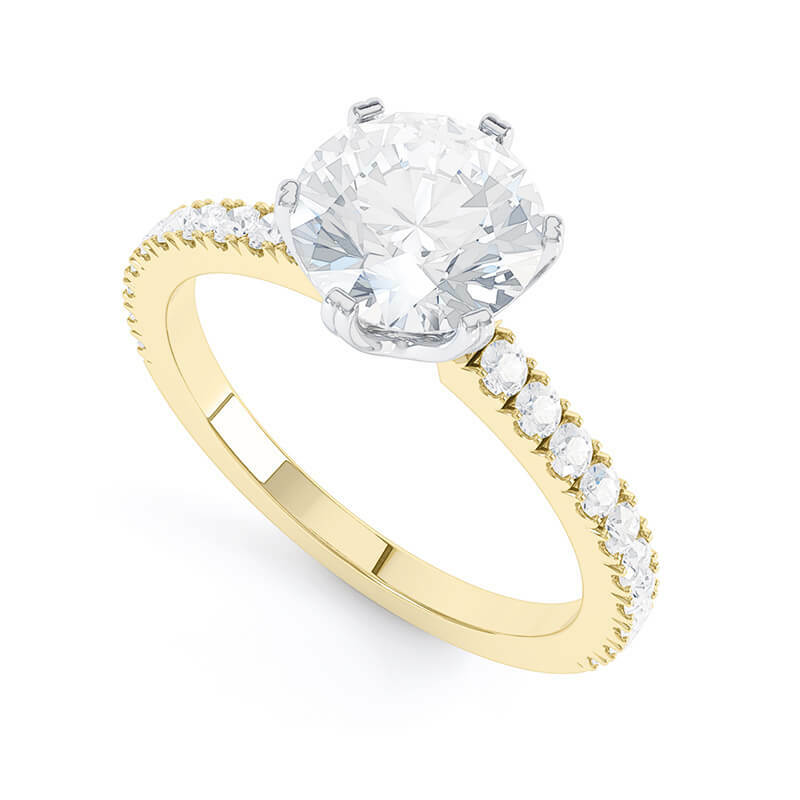 The Fontaine Scallop is iconic in design, with 6 symmetrical claws proportioned to perfection. 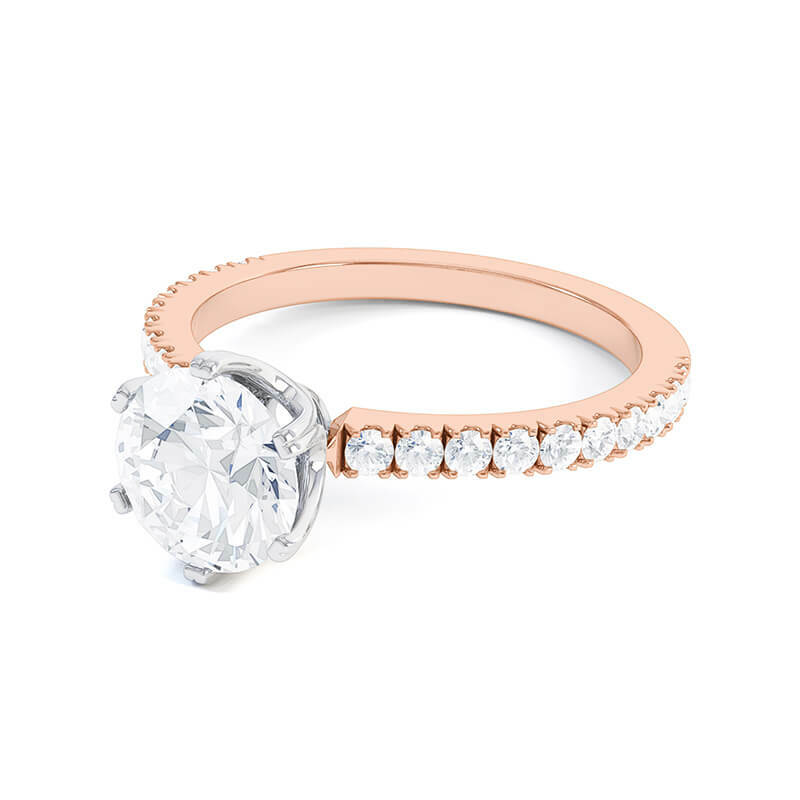 The round brilliant solitaire diamond takes centre stage as it stands tall above the pavé set diamond band. 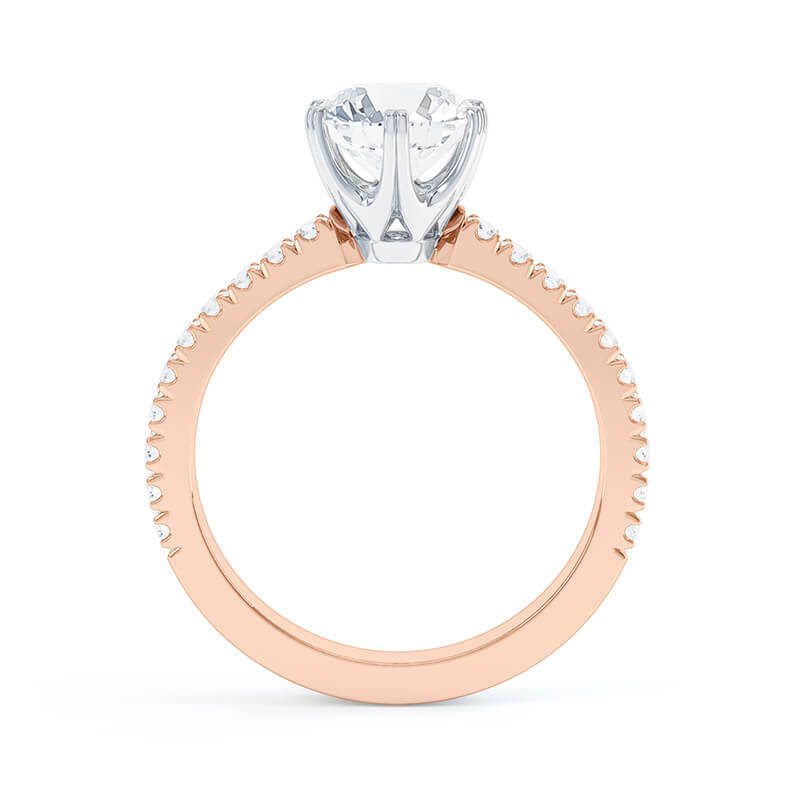 With centre diamonds available from 0.30ct, the Fontaine Scallop set engagement ring is available in Platinum, 18ct Yellow Gold, 18ct Rose Gold & 18ct White Gold. All Queensmith engagement rings are expertly handcrafted onsite, using only the finest GIA certified diamonds. Every ring is made-to-order in our Hatton Garden workshop and can be tailored to your preference. To help you set your budget, Queensmith maintain an indicative pricing matrix for the most popular carat weights, colours and clarities, however all sizes and qualities are available. Pricing excludes the cost of side stones - for an accurate quote please get in touch. 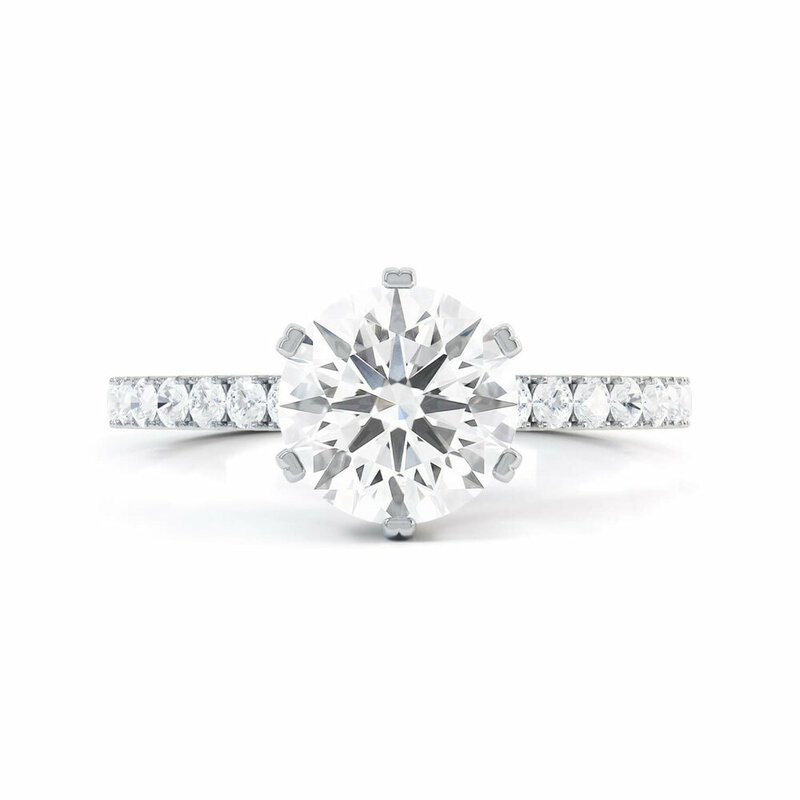 Pricing is inclusive of VAT and based on an independently certified GIA diamond with an 'Excellent' cut grade unless otherwise specified.